The thing about rugs is that you never know how valuable they are—how much they can change the look and feel of a room—until you have to shop for one. And with all the other elements of spending involved in decorating a room or a whole home, it's nice when you don't have to spend a fortune on something that has to weather everything from kid crawls to dog paws to muddy shoes and boots. Luckily for us, there are quite a few online resources where you can find stylish, high-quality affordable rugs. 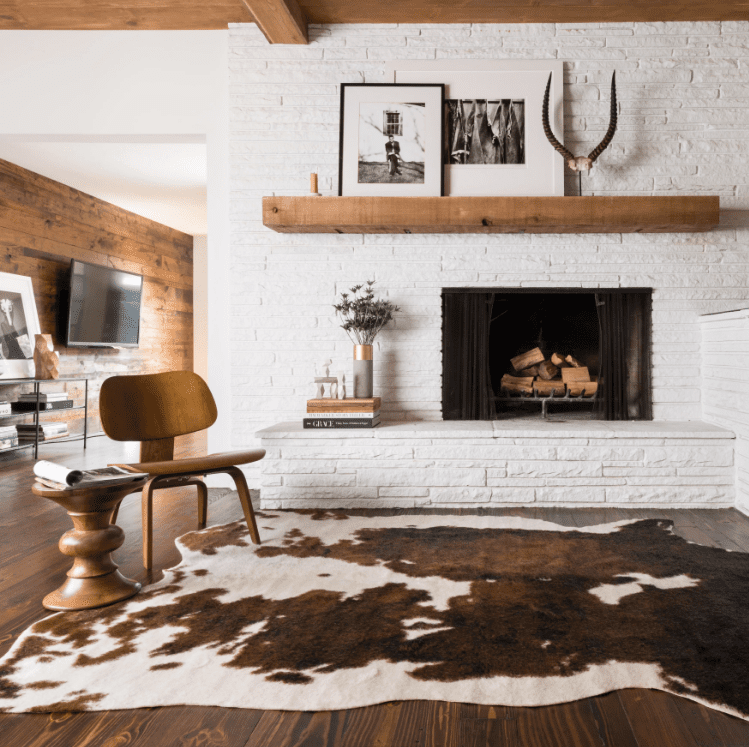 From modern decor specialists like West Elm to rug-exclusive sources like Rugs USA, keep this list in your back pocket when you're shopping for a new rug. With near-constant sales and specials, you're unlikely to find a better deal on an affordable rug than you will from Overstock. You'll find a huge variety of area rugs (both indoor and outdoor) from flat weaves to shag and Persian and Oriental styles as well. Small rugs (around 2' x 3') start as low as $26! We love Joss & Main's selection of rugs partly because they make shopping for exactly what you need so easy. Along with size and price, you can also shop by pile height, pattern and shape. Joss & Main stocks plenty of trendy rugs—from vibrant vintage-inspired weaves to faux cow hide rugs and preppy trellis patterns. Joss & Main has a large selection of jute and natural fiber rugs, which are perfect for grounding a room with bold artwork or furniture, or layering with other more vibrant rugs. Much of the rug stock on Wayfair overlaps with that of Overstock, so you'll want to cross-reference both sites to get the best deal that day. Like many of these larger sites, the selection available can be intimidating. Try narrowing your search as much as possible using the filters available. We love Wayfair's large selection of cotton Southwestern pattern rugs, many of which are hand-woven or hand-knotted and range in price from $25 (small) to more than $500. World Market is an amazing source for small area rugs you might use in the kitchen or bathroom. Their selection of one-of-a-kind rugs from Turkey can be quite pricey, so stick to their boho and Kilim-style rugs, which stay safely in the range between about $70 and $350. They have a wide variety of prints and patterns with global appeal, but their inventory is much smaller than some of the sites we listed previously, which makes it a less overwhelming shopping situation. World Market also has pretty regular sales, so keep an eye on your favorite area rugs, as they may have a reduced price soon if you're patient. It's no secret that we rely on Target as a source for all kinds of affordable home decor finds—and their selection of rugs is no exception. Their website also houses a huge amount of rug options that aren't available in stores. We love the modern offerings from Target's in-house brands like Threshold and Project 62. Gotta love that Scandinavian minimalism, right? Ikea has been our go-to source for extremely affordable home goods for decades now, and some of their affordable rugs have even become somewhat iconic, if you will. Take, for example, this black and white 'Stockholm' rug. This flatwoven rug has popped up in homes and apartments in our real lives and on TV—with good reason. It's got almost universal appeal and goes with most decor styles. It might surprise you that we've put Lulu & Georgia on our list of affordable rug sources. And while many of their furniture pieces can be pricey, their gorgeous rugs are quite reasonable. We love that they also do collaborations with influencers and artists like Gal Meets Glam's Julia Engel and Justina Blakeney. A rug-shopper's paradise! This site, as you might have guessed, specialized only in rugs. You can use many different tools to search, including clearance and top sellers, and you can also shop by brand, material and price. Like Overstock and Wayfair, it's a lot of product to look through, but there are amazing deals to be found if you can take the time. With a smaller selection and a very specific point of view (young, bohemian), Urban Outfitters is a great source for affordable rugs that feel relaxed and casual—but they also have a fair amount of neutral shag rugs that will work well in a variety of home design styles. Now, for the truly daring, don't discount eBay! If you're willing to do some research and some serious digging (and don't forget to read the seller reviews), you can find some authentic vintage rugs for a steal.